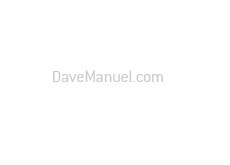 Note: Have you tried the Davemanuel.com Quote pages yet? Not only can you view the latest quotes and charts for your favorite US equities, but you can also read all of the latest Twitter posts, blog posts, message board posts and Google News alerts for your favorite stock, all in one spot. 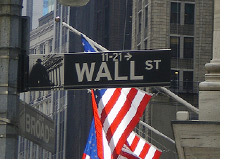 Are you on the hunt for some free real-time stock quote services? Don't want to shell out for a paid service, but also don't want to suffer with 15 minute delayed quotes? ADVFN - ADVFN offers free real-time quotes. Simply become a free member and you will have access to their services. Google Finance - Google Finance started offering free real-time quotes in June of 2008. MSN Money - Another viable option. The only problem with MSN Money is that you need to log in to MSN in order to utilize the service. If I am on a wireless connection or sitting at a public computer, then I prefer to use Google Finance as I don't have to sign in. Freerealtime.com - This site was offering free real-time quotes WAY before Google Finance and MSN Money. They have been around for at least a decade, because I remember using them in the late '90s when I was away from my computer and needed a real-time quote. Freerealtime.com will always have a spot in my heart. CNBC.com - Doesn't require you to register. Located at the top of every page on the site. WSJ.com - Also offers real-time stock quotes. Over the past 6-7 months, most of the major online financial sites have added free real-time quotes for their users. Require streaming quotes? Your discount online brokerage will offer them. If you don't use a discount brokerage, then there are stand-alone streaming quote packages available for a monthly fee.